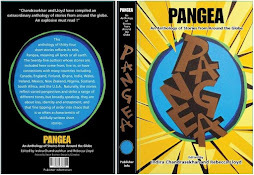 Pangea is announced on the Anthem Press website. An anthology of short stories by authors from across the globe. This anthology of thirty-four short stories by twenty-five writers from thirteen countries reflects its title, ‘Pangea’, meaning ‘all lands’ or ‘all earth’. The writers featured include journalists, scientists, a lawyer, a costume designer, a magazine editor, a crofter in the Scottish highlands, a bookseller, and a writer-in-residence at a young offenders’ prison, and their stories are as different and as interesting as their occupations. Their narratives are equally diverse and distinctive; there are quiet voices, brave voices, tender voices, and haunting voices. And yet the perspectives of this collection, its range of tones – be they the raw intensity of a man’s confrontation and failure on a road in Scotland, the dramatic preparations for a big birthday party in Nigeria, or the moment a young man comes face-to-face with his Bollywood idol – have enormous commonality; the conflicts faced and the emotions felt by the characters are recognizable, irrespective of the cultural identities of the authors or the cultural settings of the stories themselves. The writers of these unique short stories are all members of the online writers’ community known as Writewords. Readership: Cultural anthropologists, lovers of short stories and international fiction, university students, travellers, fellow writers. Indira Chandrasekhar grew up and worked in India, the USA and Switzerland as a research scientist in biophysics. 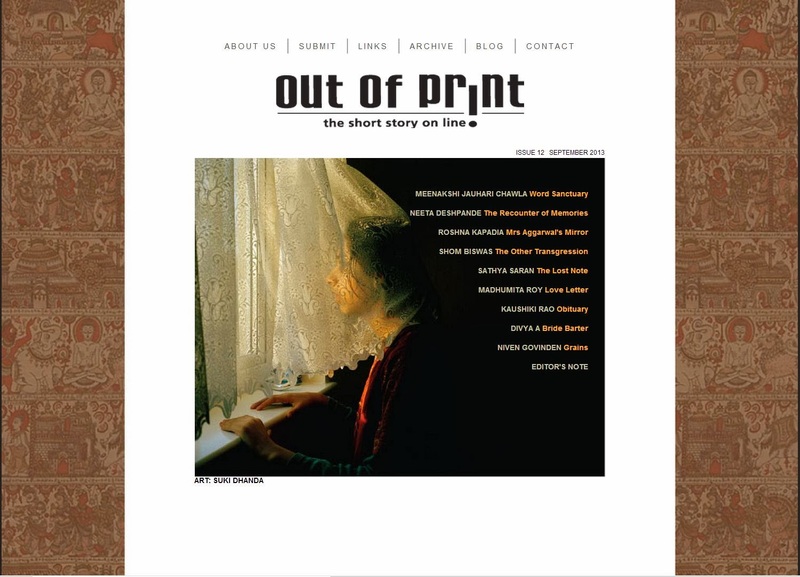 She is the founding editor of ‘Out of Print’, an online magazine for short fiction with connections to the South Asian subcontinent. A number of her stories have appeared in magazines such as ‘Eclectica’ and ‘The Little Magazine’. [NP] Rebecca Lloyd is a novelist and short story writer. Her novel ‘Under the Exquisite Gaze’ was shortlisted for the Dundee International Book Prize 2010. She was a semi-finalist in the Hudson Prize 2010 for her short story collection ‘Don’t Drink the Water’. Her children’s novel, ‘Halfling’, was published by Walker Books in January 2011. She teaches creative writing via the UK online writers’ community Writewords, and hosts their short story group. ‘The River’, one of Rebecca’s contributions to the anthology, won the Bristol Short Story Prize 2008.